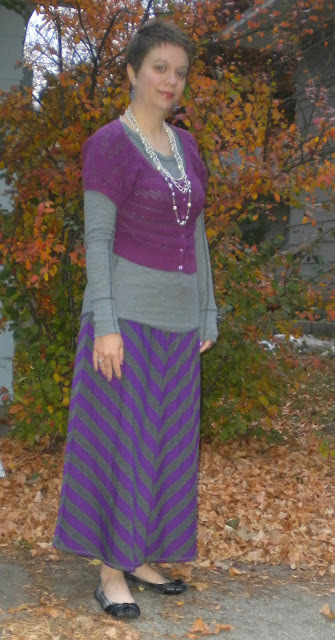 It was a little dark outside while I was taking these pictures this morning but I just went with it. I think it's still better than when the sun completely washes me out! 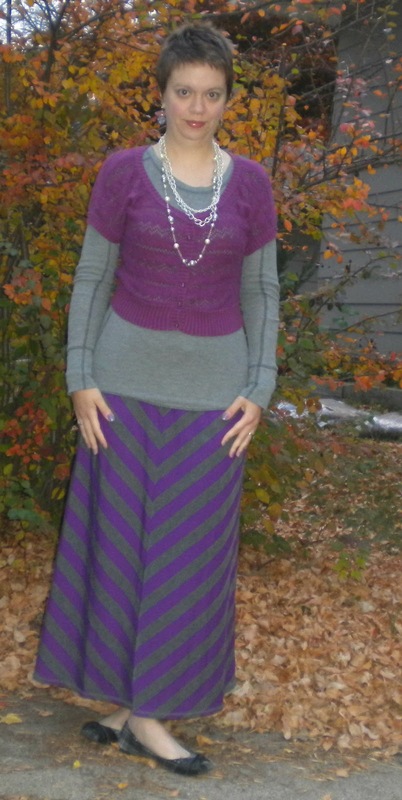 Going to be warmish today in the ole MN, possibly even warm enough for bare legs, but I was a lazy girl this morning and didn't want to shave so I took the easy way out in a maxi skirt. So one of the questions I asked in my blog tag game yesterday was "What's the worst movie you've ever seen?" There was a good reason for that question. On Sunday, The Pants Monkey and I decided to be completely lazy considering we'd thrown a huge party the night before, so after our brunch we thought, let's be bums and have movie day at home. So we stopped at our favorite video store on the way home and picked a couple of movies out. We tend to gravitate towards independent movies a lot and Sunday was no exception. We selected a coming of age type movie called Goats and another one with an all star cast called Super. Super was an after thought but as we read the synopsis and saw all these awesome people were in it we thought we just had to have it. And that is the movie we chose to watch first. Oh man. BIG mistake. I have never been more misled by a movie's synopsis than I was on this one. Basically it is described as a movie about a guy (Rainn Wilson, The Office) whose wife (Liv Tyler) leaves him and he decides to become a super hero to try to get her back with the help of the comic book clerk (Ellen Page, Juno) he befriends. It just looked and sounded like a happy little silly romp. Yeah no. Not even a little bit. It is dark and twisted - Rainn Wilson comes off as a schizophrenic or psychopath, Ellen Page is more like the character she played in another very disturbing movie called Hard Candy then like her sweet Juno type person. Kevin Bacon is also in the movie and plays a horrible person that is making me fear him now (I need to watch Footloose stat, that'll get him back in my good graces). And the ending isn't very uplifting or happy at all. The whole thing was just awful and we both felt dirty after watching it. I do not recommend! So after an hour and a half of our life we'll never get back, we ran to get some tasty barbecue for dinner and came home to watch Goats - a much, MUCH better choice and my faith in the independent movie industry was restored. Moral of the story - it is a true statement that you can't judge a book (or DVD) by it's cover! !